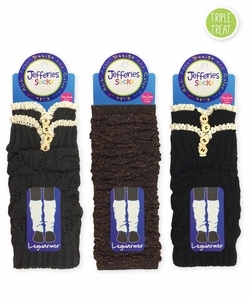 These legwarmers can be worn many ways: turn the legwarmer so the lace & buttons are worn at the ankle, or flip the legwarmer so the lace & buttons are worn under the knees or even worn over the knee! 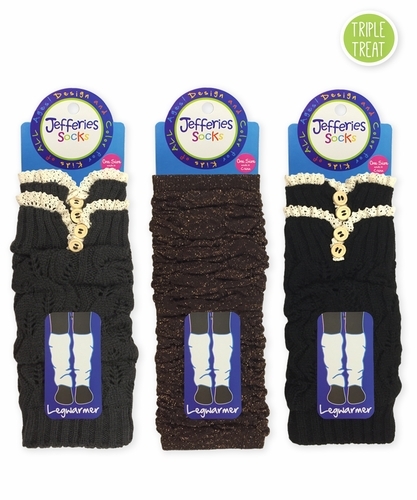 The chocolate legwarmer is accented with shiny lurex. Estimated legwarmer length is 14" and fits 7 yrs all the way to Adult.